Our chickens are sustainably raised as a part of our agriculture system. The chickens have two homes, a mobile home as well as a permanent section in the barn. 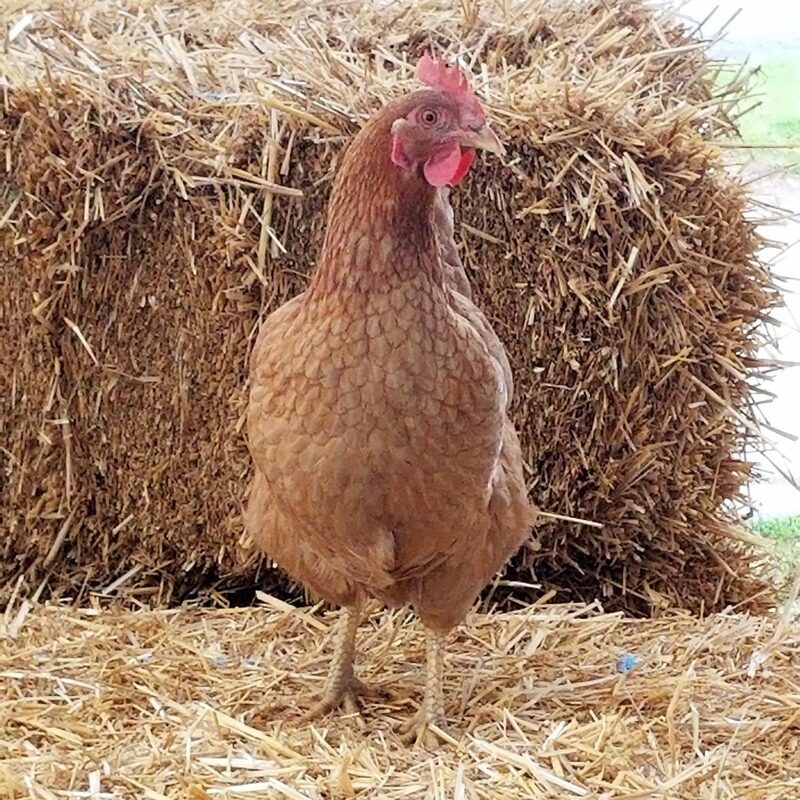 We rotate our mobile chickens across the farm as fields become available to allow them to graze and feed. All our chickens always have access to pastures, so they can be out and be active. Eggs are gathered every day and placed in our display cooler for sale. At Ard’s we believe in our animals always having access to green pastures. Our pigs are the embodiment of that concept. 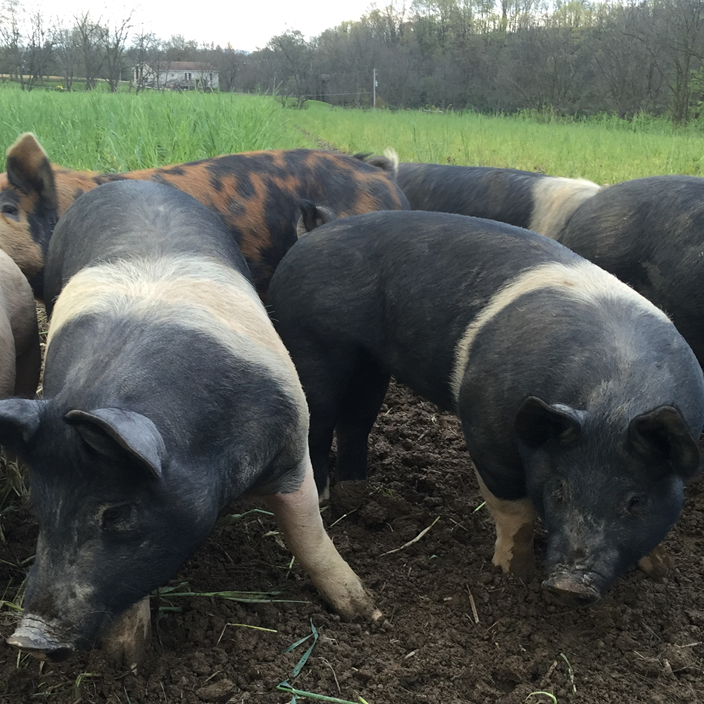 We have a number of different permanent pastures that we rotate our pigs through, as well as moving them across sections of cover crops, finished sweet corn patches, and pumpkin patches after the seasons are over. Our pigs are always guaranteed to be antibiotic and hormone free. Select cuts of pork are available in our freezer, and we also have whole and half hogs available for purchase. Great food can only be raised sustainably in a system that respects the resources that are available. 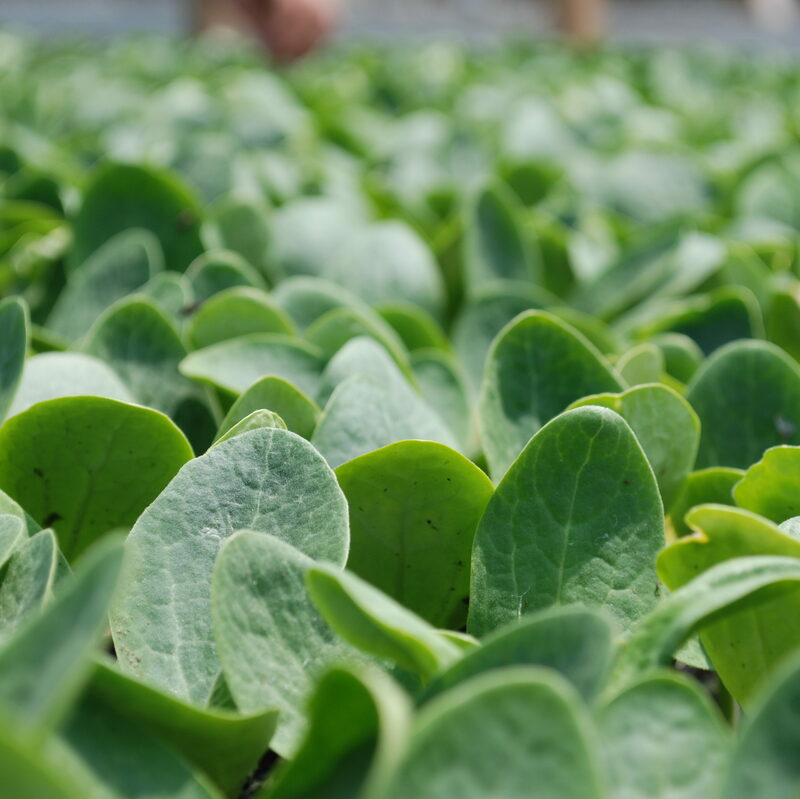 At Ard’s Farm we believe that by treating our soils properly, we will be able to provide our customers with great, wholesome, sustainably produced food for generations to come. We practice 100% No-Till farming, and are slowly bringing animals back onto the farm to incorporate grazing into our system. We respect our soil so that we can continue to farm for generations to come. Our greenhouse is currently a work in progress. We converted half of an old dairy cow bedding area to a greenhouse in 2016. What we did was a great way to experiment and decide that it was time to take the plunge and set up a greenhouse that would allow our customers access to the freshest produce year round. In the Fall/Winter of 2017 we built the Greenhouse at Ard’s Farm. 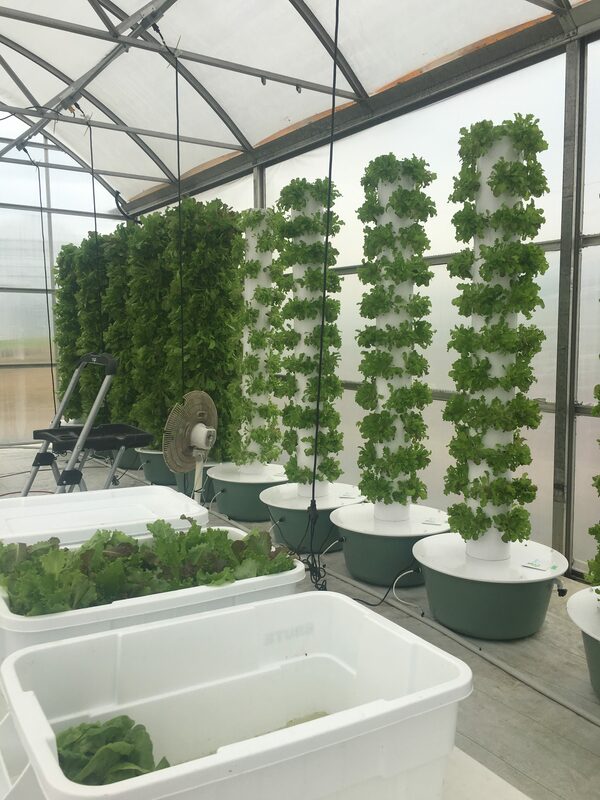 After careful consideration of the many different growing systems, we installed an aeroponics system that allows us to combine the best of hydroponics with vertical, space saving designs. Alan, along with his parents Ray and Nancy, were the original “Ard’s Farm”. The three started Ard’s Farm Market in 1991. Since that time, Alan has taken over the business and has watched it grow leaps and bounds for over 25 years. While many owners do not have a hand in the day-to-day operations in their business, that is what sets him apart from the rest. Alan knows his employees on a first-hand basis and even has nicknames for most! On the other end of things, he still enjoys cooking. Alan is our main smoker guy at Ard’s. He travels offsite to weddings, family reunions, birthday parties and even brew festivals smoking ribs, pork belly and more! Alan loves connecting with the public and telling the story of where we are at today! Over the years, Alan has also began teaching the ropes of the business to his kids. From the time they were young he brought them to the farm, teaching them how to use a tractor or how to raise livestock. As it turns out he made a lasting impression. All 3 boys (Justin, Ethan and Holden) have decided to continue the business in some way or another. Justin can be seen in our restaurant, Ethan can be seen following Alan’s footsteps in farming and Holden will be adding a diary barn to the mix. This just goes to show what kind of leader he is not for his children, but for his employees as well. Tyler started working at Ard’s in the fall of 2006, after meeting Alan at Rita’s Italian Ice in Lewisburg and inquired about work. One of his first jobs was splitting a pile of apple wood for the smoker. That was just the beginning for him. From then on, he evolved at Ard’s by cooking some of the best BBQ chicken and pork you will ever eat, building things, operating farm equipment, fixing and maintaining various items inside the building and out and everything else in between. Over the years he has had a hand in most of the things that happened in the outside world here at Ard’s. Someone once described him as being one of the men behind the scenes. 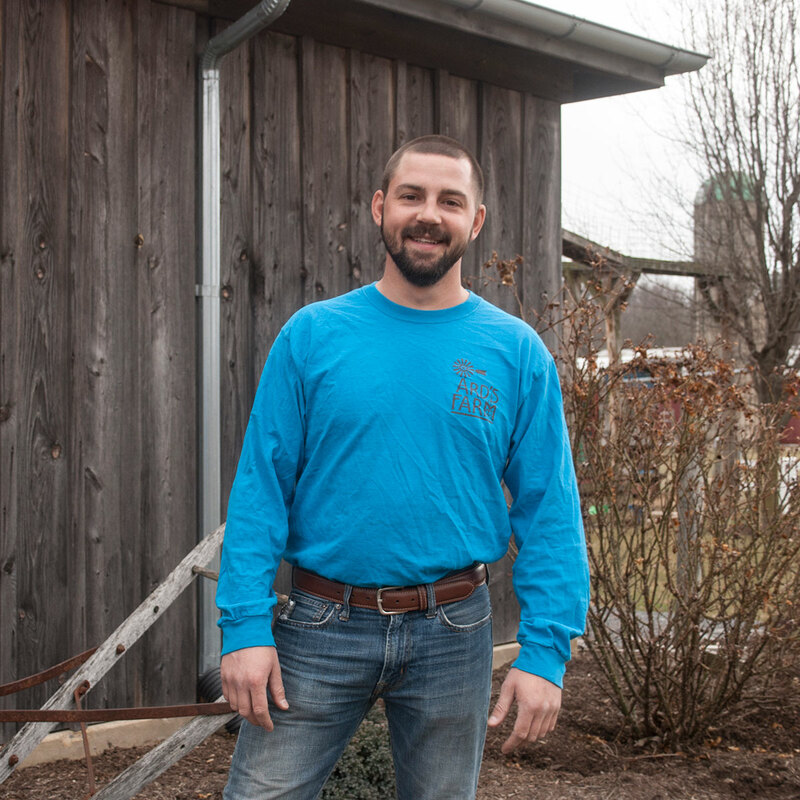 In 2013, he began marketing his grass fed beef from Springhouse Farm, LLC at Ard’s. 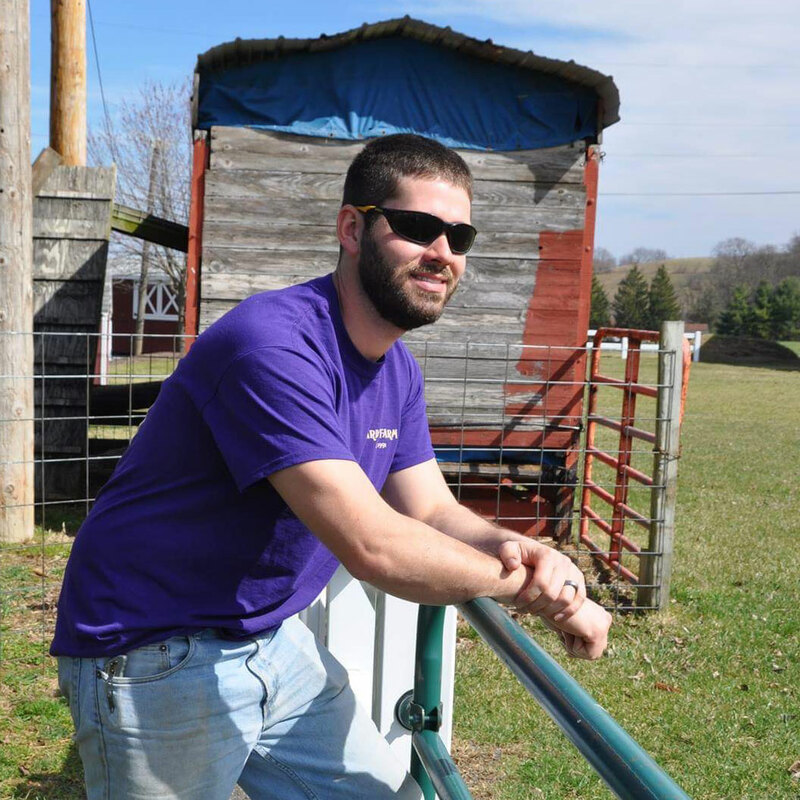 In 2017, Tyler moved to part time to pursue farming with my family in New Berlin and to also have more time at his own farm here in Lewisburg. He still have a hand in a lot that goes on around here, just on a smaller scale. 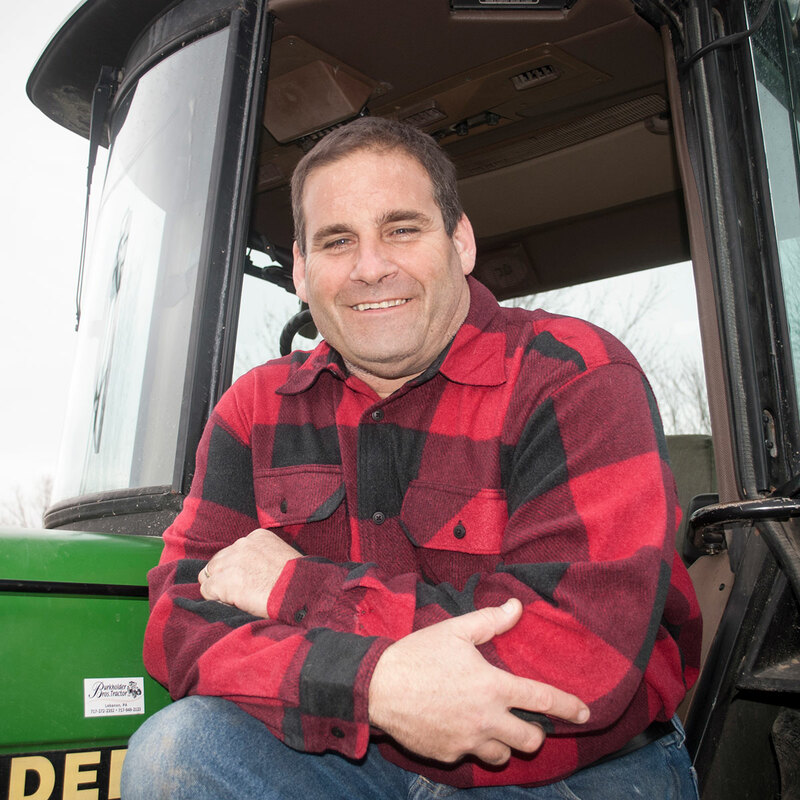 Growing up at Ard’s farming was the name of the game for Ethan as the son of Kyle and Alan Ard. He has been around almost as long as Ard’s has! At the age of 12 he started helping where he could around Ards. He was a crucial corn maze employee growing up, who laid the maze out for many years. During his high school days he could also be found in the market as a cash register worker. From there he decided to pursue college at Bloomsburg University graduating in 2014 with a business management degree. As a member of the family he decided to try something new, before committing to the family business. He worked in construction for two years prior to coming to back to where his heart was at. In 2016, Ethan jumped on board the Ard’s crew, taking on more responsibilities than ever! He is now, our handy man and the farm hand! He assisted with renovations in 2017 to the restaurant and worked his magic again renovating the market in 2018. From there, he also takes care of our chickens, making sure the market has farm fresh eggs for sale, the pigs and has a greenhouse that provides fresh product to the restaurant. Let’s not forget, where it all began though! Ethan is now in charge of the maze park during the fall, where he makes sure field trips, group trip and everyday activities go smoothly for us. The more time he spends at the farm, the more he learns the ropes from Alan! He really does do a little bit of everything!